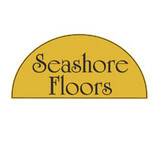 Seashore Floors is a family owned and operated business dedicated to delivering the best flooring products at the best prices. Every surface we sell is hand-selected to meet the structural and design needs of shore homes in our area. From small renovations to new construction, we are dedicated to making your space beautiful. Our company has been servicing Cape May County’s flooring needs for over 25 years. Peter Fricano, the owner and operator, has his eyes and hands on every project assuring the best finished product every time. With our professional team of trusted designers and installers, Seashore Floors is able to oversee every aspect of your project from beginning concept to successful completion. Joerg has owned Carpets & Renovations by the Ocean for over 40 years. Beginning it all with only carpet cleaning, he has built the company with his own two hands into something that all who work for him take pride in. Joerg and his companies are known very well throughout town and the surrounding areas. The percentage of repeat cliental alone tells us how well the business is thriving. When customers come back, over and over again, we must be doing something right! Come on into the showroom and meet Joerg; you will find him here every day doing whatever is needed to get the job done. We've been in the flooring industry since 1988 serving the tri-state area. We have grown with the industry as the top provider of all flooring needs. Our installers are in-house employees and not subcontractors as most of our competitors use. Whether it's one room, the entire house or a 50,000 square foot commercial space, we've done it all. No need to hire an Interior Designer. Our employees can make any room look like a million dollars on any budget. MENTION YOU FOUND US ON HOUZZ! *Authorized Bona Certified Craftsman* We are a local family owned company that operates with integrity, craftsmanship and customer service. Offering wood floor services since 2003, our craftsmanship has proven itself time and time again. Flooring contractor, commercial and residential ,hardwood floors, carpet, tile, vinyl flooring professionally installed repaired.. Wooden floors sanded and finished. Expert repairs, restorations. Mazza's Flooring America- Frank Mazza and Son- has been a thriving company since the 1940's. We have all of your remodeling needs from carpet and hardwood to blinds and cabinets. We sell high-quality flooring for residential and commercial properties. Looking to redo your kitchen? We have tile, granite counter tops, and cabinets waiting to be a part of your dream kitchen. Remodeling your family room? 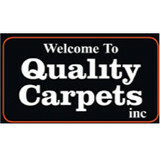 We have the largest selection of carpeting and hardwood in the Atlantic County region. Mazza's is a part of the Flooring America buying group of over 500 stores- in the US and Canada. This allows us to bring you the best and lowest of prices. We put our community and our customers first. Come stop by at our location on the White Horse Pike, where friends send friends. Carpet & Tile Mart is a 3rd generation, family-owned and operated business, built upon a proud heritage of providing customers a unique combination of unprecedented value, massive selection and unsurpassed customer service. We carry a wide variety of flooring options for your home, available to pick up in our stores, shipped to you anywhere in the USA, or installed next day by our professional installers! We have thousands of area rugs IN STOCK, miles of the finest tile and natural stone, durable luxury vinyl tile, hardwood flooring from the USA, and of course the largest in-stock selection of carpet around. I refinish hardwood floors and install hardwood floors. I provide staining and restoration and repairs. I have been in business for 20 years and I am also a member of Ethical Services. What kinds of services do hardwood flooring installation professionals in Stone Harbor, NJ provide? Find hardwood floor experts in Stone Harbor, NJ on Houzz. Search the Professionals section for Stone Harbor, NJ hardwood flooring installers and dealers or browse Stone Harbor, NJ photos of completed installations and look for the professional’s contact information.